Thank you for everything you do to help Ronald McDonald House and our families with sick or injured children. Here's just some of the ways McDonald's stores across Northern NSW have helped make a difference for families. In May, the awesome McDonald's crew from Port Macquarie helped raise funds for Ronald McDonald House. These friendly faces could be found outside Big W Port Macquarie at Settlement City wrapping Mother’s Day gifts for a gold coin donation. As a part of our Workplace Giving Program at McDonalds Taree, Stacey is our biggest donor. We couldn’t provide so many families a much needed break away without the generous support of Stacey and other McDonalds crew across Northern NSW who donate a small amount from their pay each week. Thank you for being a part of our workplace giving! 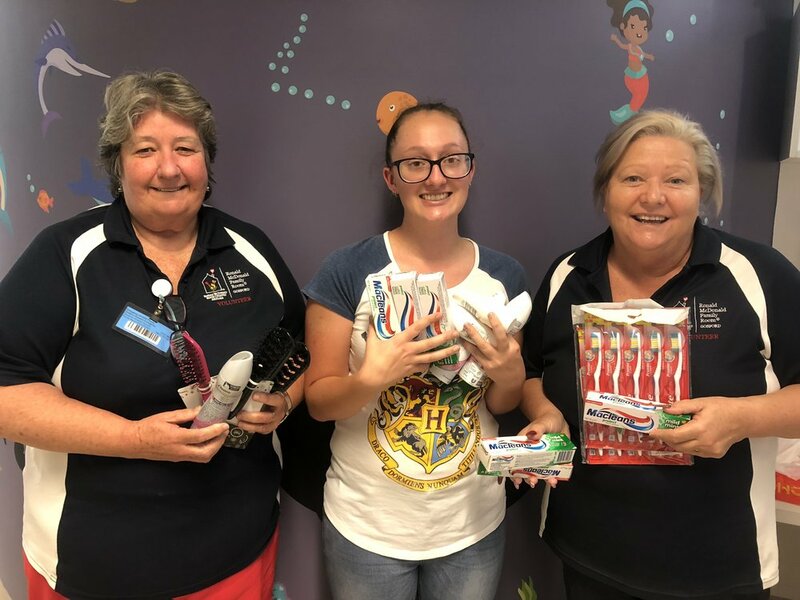 McDonalds Crew at Lakehaven saw our social media post asking for toiletries at the Ronald McDonald Family Room in Gosford. Within minutes Tegan had messaged through asking what the top items and most needed items we needed where. The next day she made the trek down to the Family Room to drop those much needed supplies off! Thanks so much. Our families really appreciate coming back to a home cooked meal at Ronald McDonald House after spending the day at the hospital with their sick or injured child. Thanks to all the McDonald's crews for cooking great Meals from the Heart every Tuesday evening. McDonald's crews around Northern NSW made sure the children and families staying at Ronald McDonald House didn't miss out on the Easter bunny! Here are Easter hamper deliveries from Cessnock, Thornton, East Maitland, Kurri, Wallsend, Swansea and Morriset McDonalds. 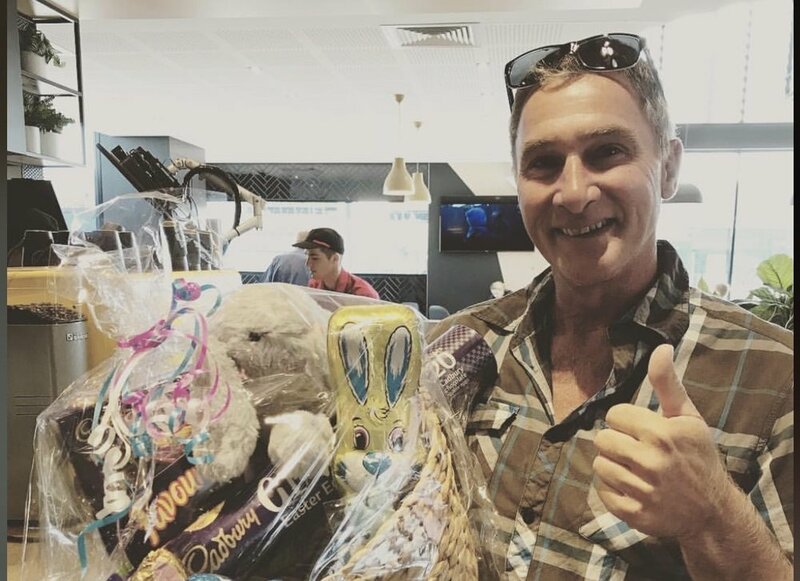 McDonald's stores also helped raise funds with in-store Raffles for Easter Hampers at Charlestown, East Maitland, Wallsend East, Maitland, Hexham and Charlestown. Families visiting the Family Rooms didn't miss out either, with McDonald's Tuggerah Food Court visiting the Gosford Family Room on Good Friday with great goodies in hand. on behalf of our Ronald McDonald house families, thank you!